Sometimes, doing routine things tends to get a bit boring. Or maybe it's just the weather that's making you down. Or maybe you haven't been able to catch up on enough sleep for several days, and it's finally taking it's toll on you! Or perhaps it's because your domestic help has quit several days ago, and you haven't yet been able to find a replacement (sighh)! Or it could be that your fingers are itching to express their creativity in the kitchen for some time now. 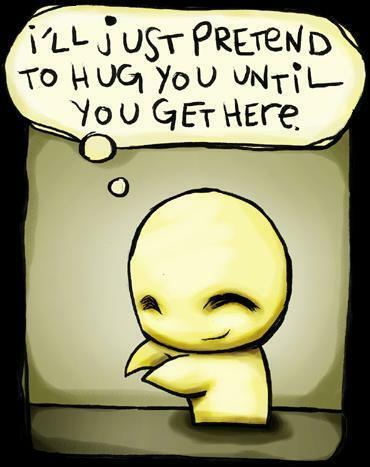 Or maybe you just need a hug! Whatever might be the reason, at times you simply need to take a break. This is my 25th post for NaBloPoMo September 2010. Yes Mr. Chowla. Looks like I'm seriously discharged this time!